TDB or The Delhi Bride, looks at the world through her glasses which are tinted with every colour an Indian Wedding can have. Her posts, tweets, status updates are all about guiding and informing brides about latest trends, sales offers, vendor shout outs, bridal diaries and much more. When we got to know she is MEDIA now and has been invited to IBFW 2013, we were excited to know what her take on the bridal fashion shows is. We caught up with TDB to get her insights on Bridal Fashion. 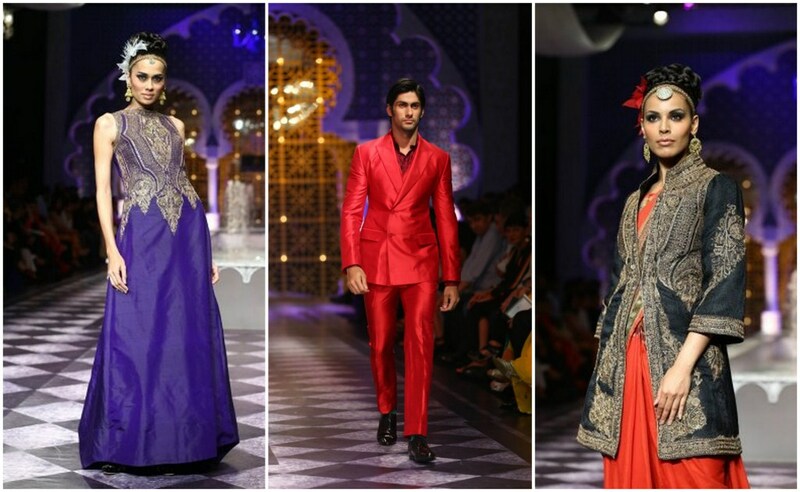 Memorable Indian Weddings (MIW) – What are the emerging trends which you think would be followed by real brides after this IBFW 2013. The Delhi Bride (TDB) – I think brides will be more experimental with their trousseau – we’ll see them adorning different blouse styles (especially high-necks and sheer fabrics mixed with opaque ones), adding dhotis as a fun option to wear to someone else’s mehendi function, and a lot of shararas in their wardrobe as that trend seems to have seriously caught on! 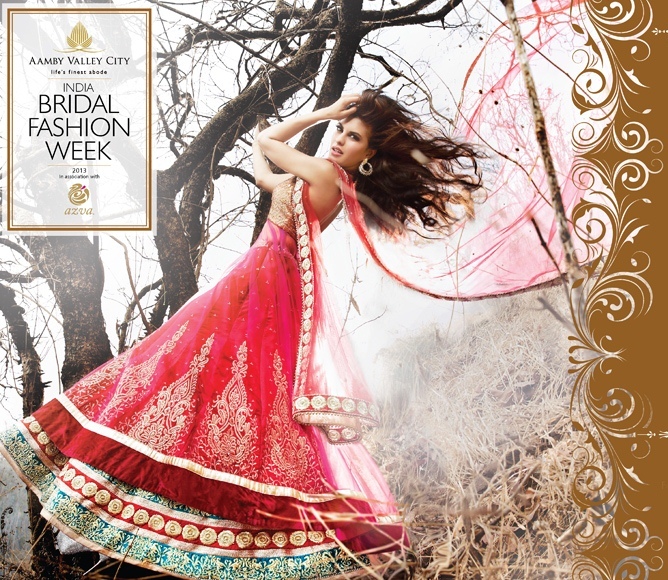 MIW – Although now brides are more experimental, any chance of us seeing an off-white lehenga for a wedding! TDB – While a traditional North Indian bride will steer clear of white on her wedding day, I have seen some off-white wedding lehengas on Indian brides recently. I wore a white lehenga on my own Sangeet, and I realised that it’s such an elegant colour that makes you really stand out in the sea of colour that Indian weddings are famous for. So even if brides are not going to wear white on their wedding day, a white ensemble on any of the other functions is a great choice! TDB – A very famous celebrity will definitely get you more attention. But if you can’t get someone really big, then it’s better to have no celebrity – it’s embarrassing to sit in the crowd and applaud politely trying to figure out who the show-stopper is! In terms of sales, a celebrity will have very limited impact because it’s the clothes a bride will look at, irrespective of which famous person has worn it in the past. 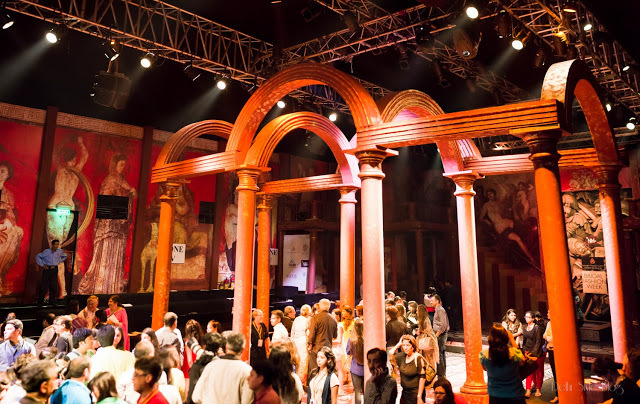 MIW – If you had been a Bride and after attending this fashion week, how much you think would have taken home. Would it have actually helped you in visualizing as to what you would want for your trousseau, get ideas and most importantly do-ability. TDB – Oh most definitely! To be a bride and get to sit while a model comes out and shows you exactly what that piece of clothing looks like is the BEST way to see it! I loved SO many pretty clothes, and there were some collections that really spoke to me. About 20% of what I saw I would’ve liked to buy :). But of course, you can buy only one wedding lehenga! I saw plenty of beautiful trousseau wear as well. Some were very wearable! TDB – As a wedding blogger, it was the perfect opportunity to have a look at so many designs fit for a bride under one roof. And to get a taste of what’s coming up this wedding season – well, there’s nothing like it! To be able to have a look, live, at what an outfit looks like – it’s the perfect way to be able to keep all my bride readers informed on what’s good out there for them to shop for! 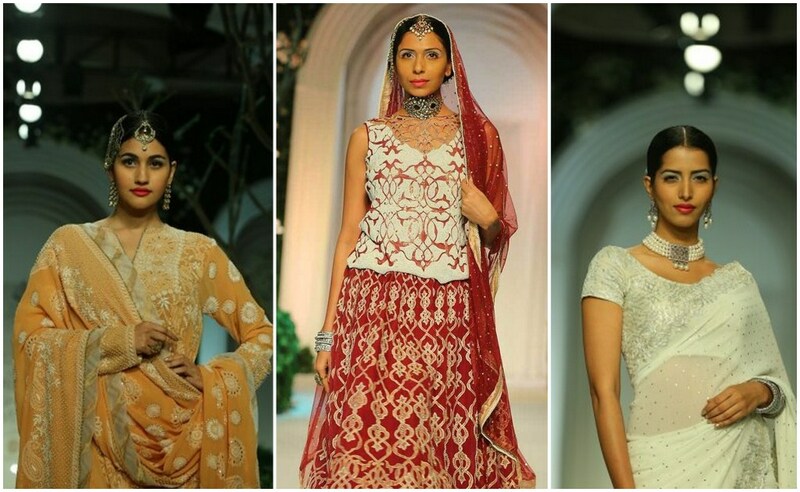 MIW – Your pick of the best bridal wear from IBFW 2013. 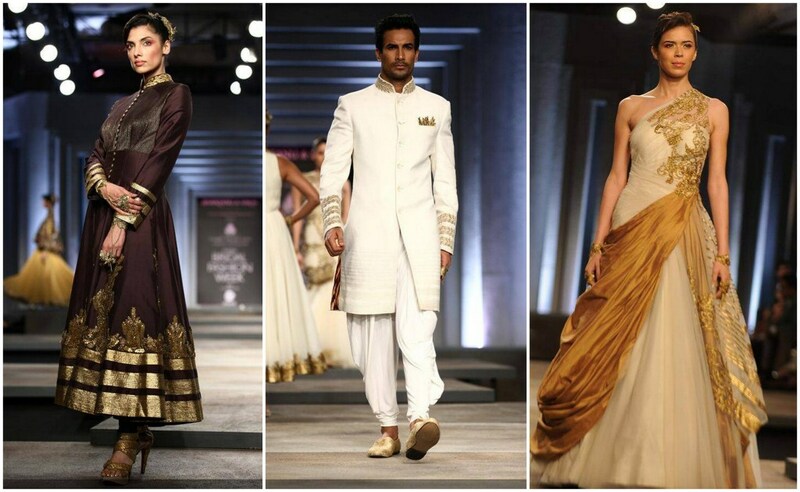 TDB – Shantanu & Nikhil’s white & gold collection, Meera Muzaffar Ali’s gorgeous clothes that were on a lighter side (in terms of embellishments) and Raghavendra Rathore’s collection were my favourites! TDB – Chitragandha Sen. She came out like a coy girl, seemed to be down-to-earth and handled all the attention with a humble attitude, or so it seemed! 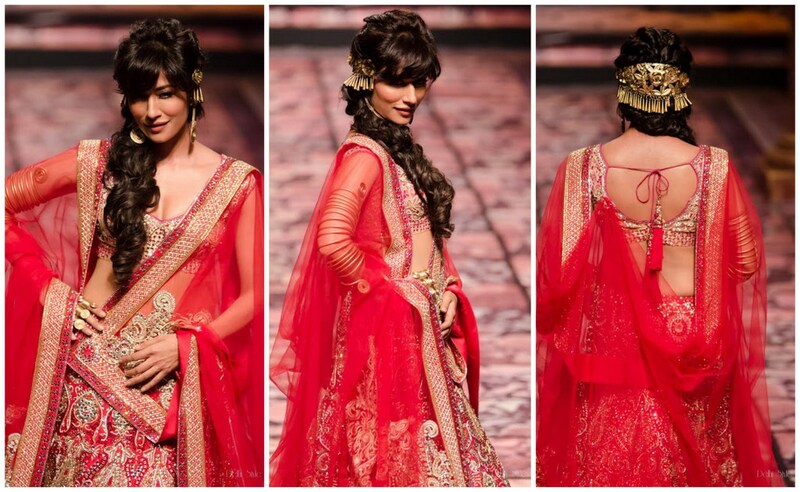 She looked stunning in her red lehenga by Suneet Varma. 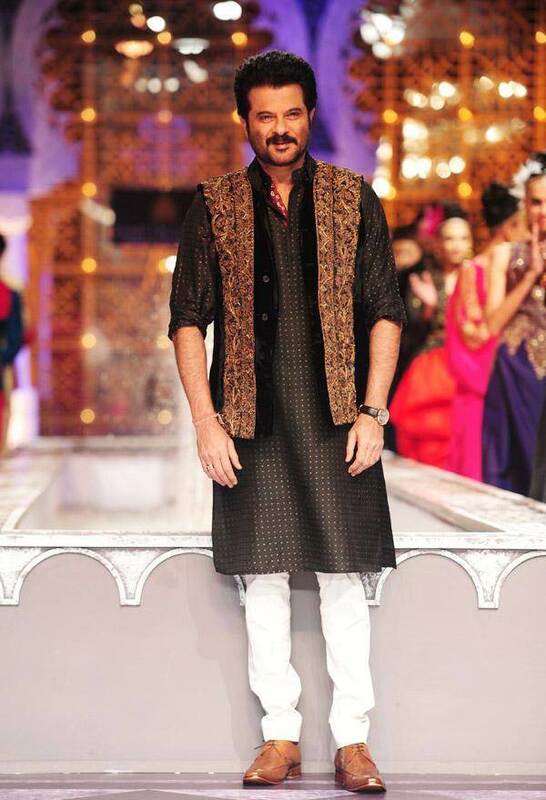 TDB – Hands-down it was Anil Kapoor. When he came onto the run way, it felt like a star had walked in. There’s an charm about him, I can’t exactly pin point what it was. He was so cute on the ramp – came out and stood at the centre almost awkwardly wondering why he was getting so much attention and then quickly turned around to head back. TDB – Suneet Varma’s – the grand feel of Rome, it was beautiful and majestic!